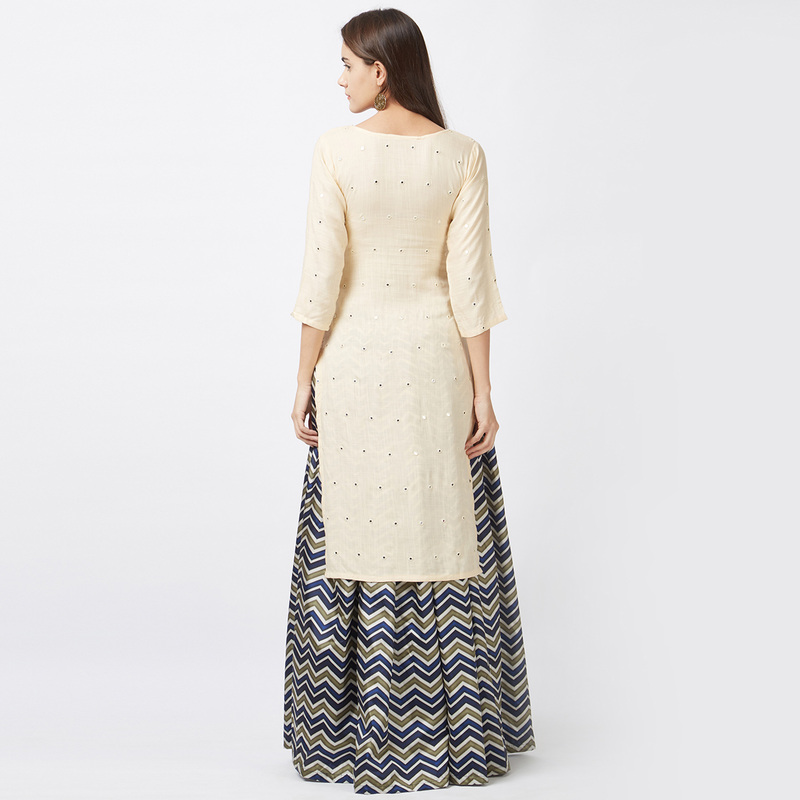 True splendor comes out through the dressing style with this alluring cream-multi colored lehenga kameez. 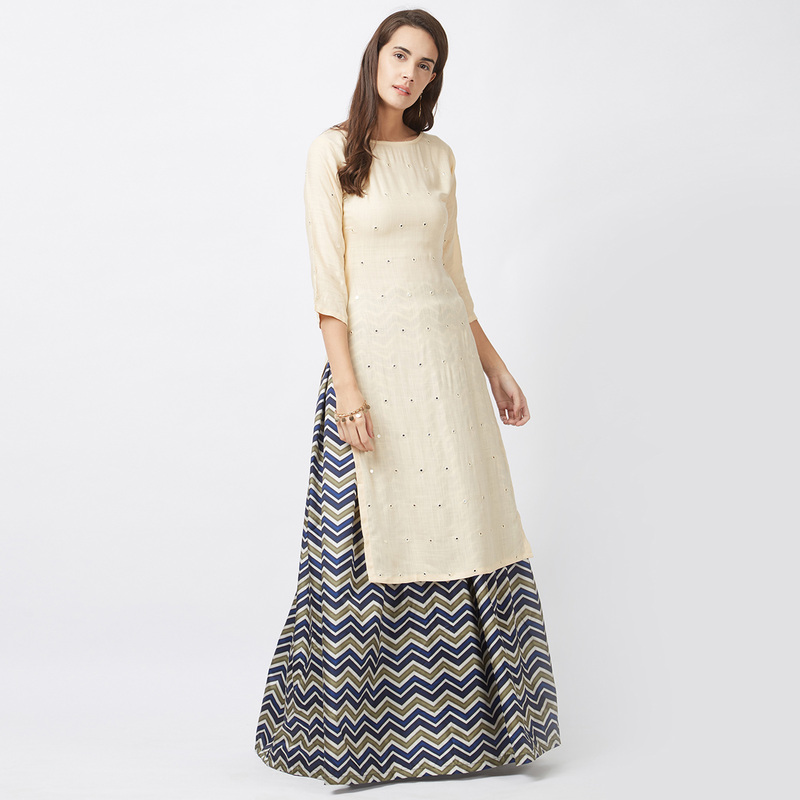 This semi-stitched outfit has got kameez in rayon fabric which is beautified with mirror work. Accompanied with tapeta silk fabric printed lehenga along with santoon lining. 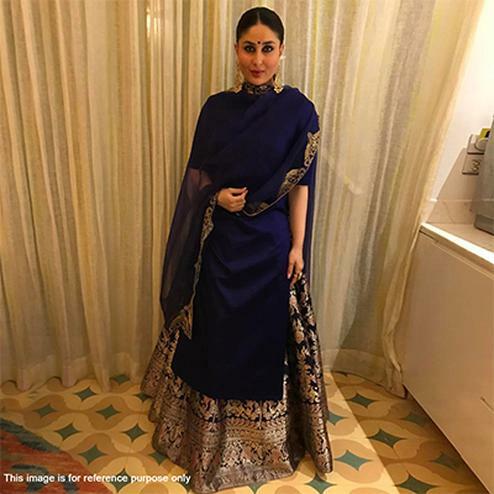 Women can buy this ethnic dress to wear for their upcoming receptions, engagement ceremony and family occasions, where you want to be the limelight. Team it with ethnic accessories and heels to make your looks more beautiful. Length chest Upto 42 - 42 inches and length upto 42 - 46 inches.